Lenovo has really caught us all off guard with the launch of its Z5 Pro GT smartphone. This device is the first in the world to get two major hardware attributes — Snapdragon 855 and a beefy 12GB of RAM. The new handset will be released in China during the mid of January next year. This means Lenovo is most likely to beat the likes of OnePlus and Samsung, who are also expected to ship their phones featuring the latest Qualcomm chipset. Let’s take a look at the top five features of the newly-announced variant of the Z5 Pro. No other manufacturer till date has showcased any device that incorporates the latest Snapdragon 855 chipset. Built using the 7nm process, this highly-advanced SoC has its top-most core clocked at a 2.84GHz, and it also comes with the Adreno 640 GPU that’s been blessed with a 20 percent performance boost. The chip is also home to a host of other advanced attributes that promise efficient AI support, cutting-edge camera capabilities and more. Furthermore, the Snapdragon 855 SoC is capable of 5G support, but it’s not known whether the Lenovo phone will be embracing this ability. 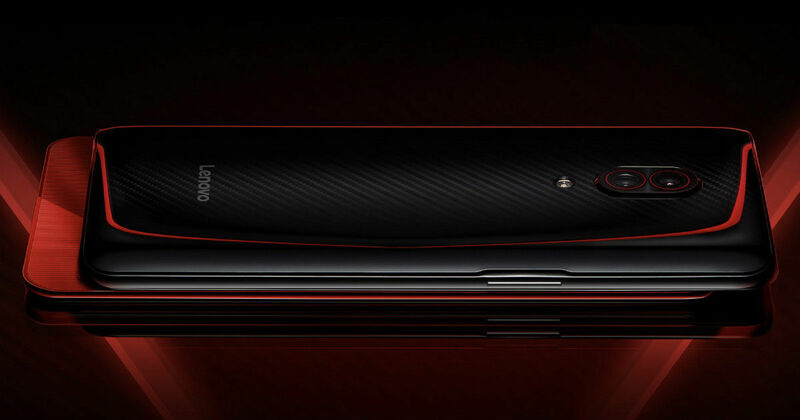 Just as 10GB of RAM was starting to go show up in smartphones, Lenovo has gone ahead and unveiled the world’s first smartphone with 12GB worth of RAM onboard. Combined with the Snapdragon 855 silicon, the smartphone is a powerhouse and is bound to satisfy all your heavy gaming needs. On top of all this, the Z5 Pro GT also grabs 512GB of storage on its top model, providing you enough space to store everything you ever want in your phone. In its quest to get rid of the notch, the Z5 Pro GT has taken the same approach that was taken by the Mi Mix 3 (first impressions) and the Honor Magic 2 (first impressions). It goes for a slider display that hides the front camera underneath its mechanism. So whenever you feel like clicking a selfie, all you need to do is slide down on the display to expose the shooter. This also allows the phone to render a full-screen front surface that looks gorgeous, to say the least. The premium vibe of this phone is enhanced furthermore by its glass rear surface. And in case you’re wondering why there’s no fingerprint scanner on the back, you must know that it has been placed inside the display of the handset. The Lenovo Z5 Pro GT flaunts 16MP f/1.8 primary sensor and a 24MP secondary snapper on its back. This allows the phone to dish out impressive portrait shots. But that’s not all as a number of AI-based features have also make their way into the camera app. These include AI super-picture quality and a night mode. As far as the videos are concerned, the device can capture in 4k resolution. Sliding up the display reveals not just the main 16MP sensor of this phone, but also its accompanying 8MP sensor. This combination is again able to provide excellent portrait mode shots when you’re clicking selfies. The video resolution of this module is capped at 1080p. Another feature that these cameras are able to provide is zero-light face unlock. Apart from this, you’ll also find a lot of AI-based front camera traits.